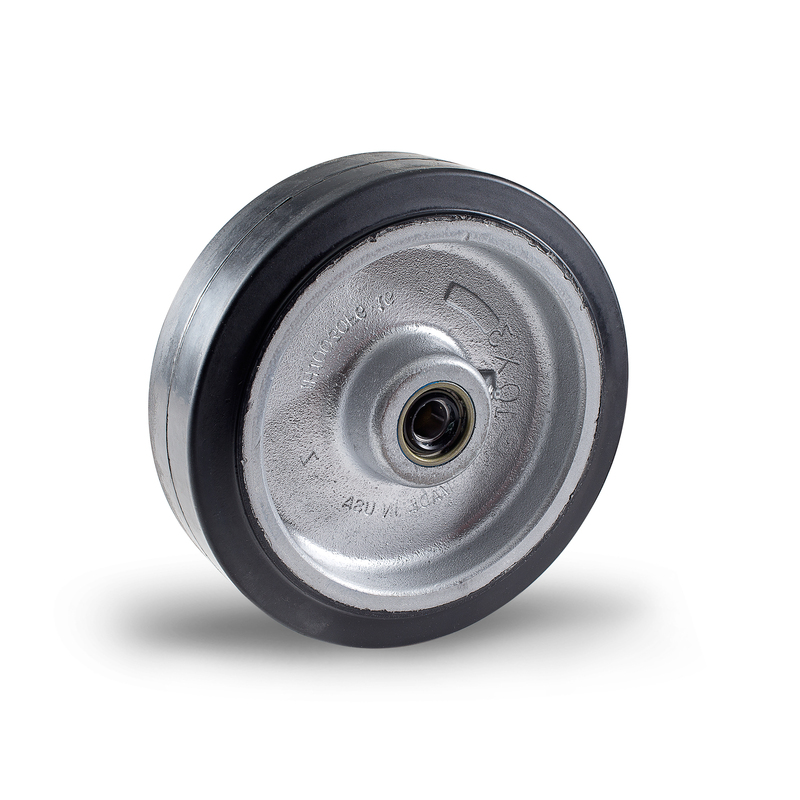 Industrial caster drive wheels are exactly what they sound like: wheels that help drive an object and are attached to a shaft. They are typically designed with a polyurethane or rubber tread with either an iron or aluminum core. Other tread and hub materials are also available, but less common. This type of wheel has many types of customizations possible: v-grooves, keyways, setscrews, cotter pins, interference fits, tapered locking bushings, nuts and bolts and more. Best known for their drive wheels, Trew Wheels has been manufacturing polyurethane and rubber drive wheels dating back to the 1970s. We're still adding Drive products to the site, but we can help you!